Urban spaces present design challenges. How do you entertain dinner guests in a small, townhouse kitchen? 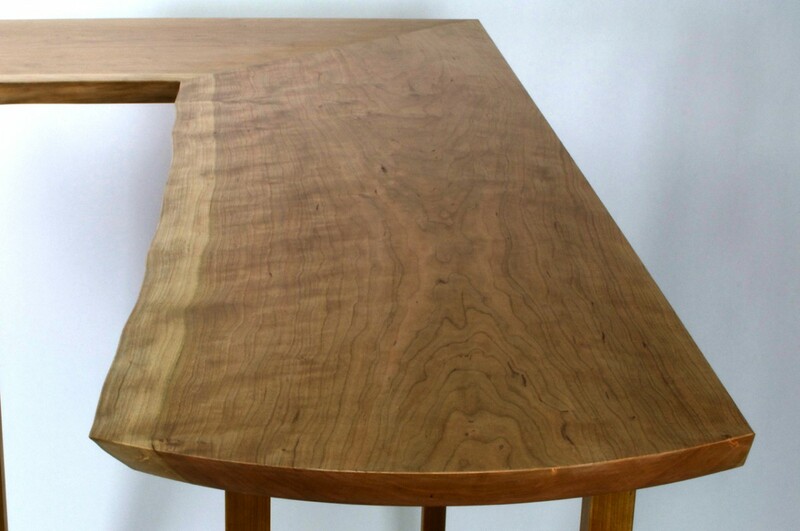 Park them in the corner at this bar-height, live-edge slab table. 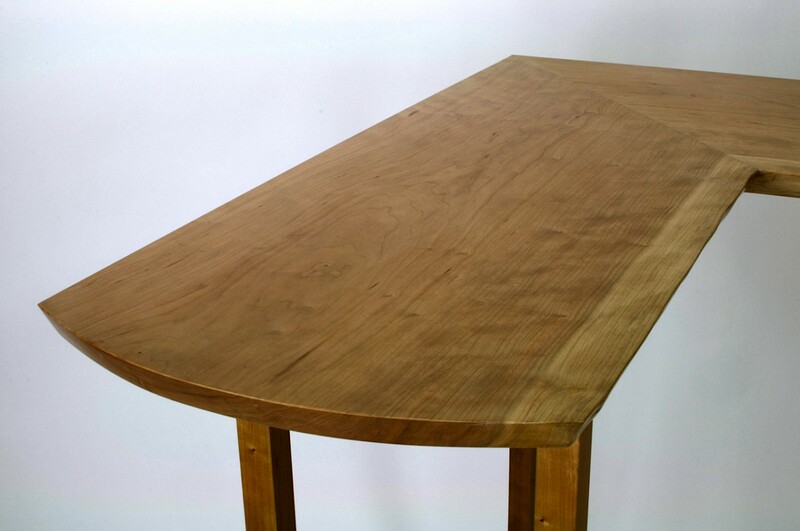 Sourced from a family-owned sawmill in Pennsylvania, the top is solid cherry, hand-selected for its impressive size and beautiful figure. 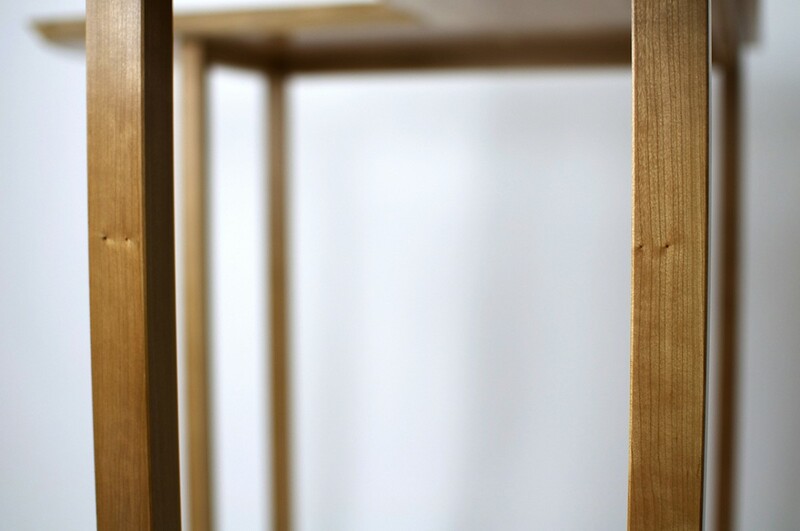 It has been attentively sawed and planed to form a perfect miter, and therefore to preserve the overall movement of its grain as it tucks into a square corner. A lustrous, salmon pink for most of its width, the top presents a lighter-toned, natural edge to the viewer. 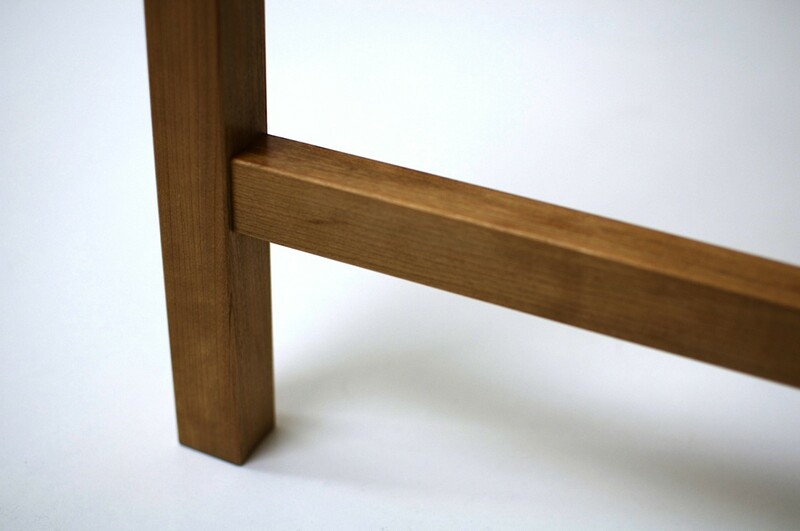 A bevel at each end mimics the angle formed by the natural shape of the tree. The simple base attempts to support the slab as unobtrusively as possible. Its legs and rails have been cut from a single board; the pairs at each end hold evidence of this in their bookmatched figure. 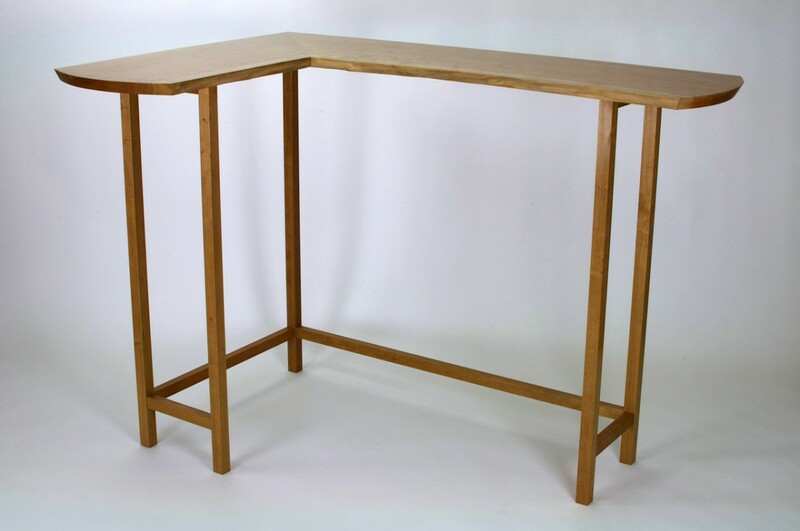 Solid, double mortise-and-tenon joinery ensures that the table will support many a wine glass for years to come.